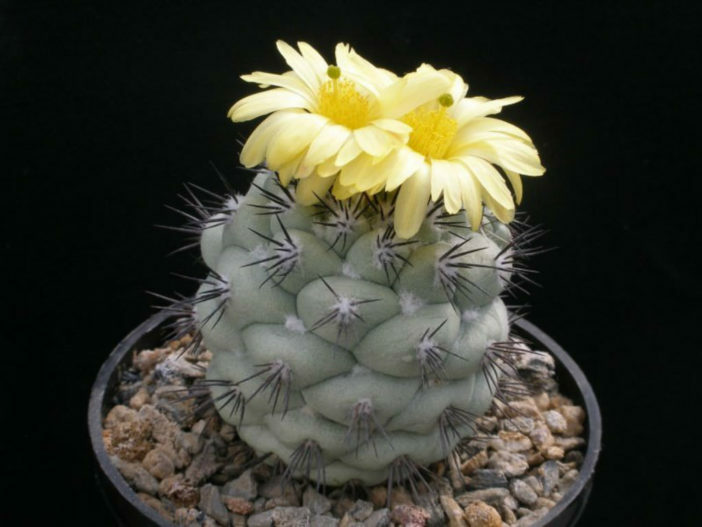 Ortegocactus macdougallii is a small, clumping, slow growing cactus that form tiny bushes. 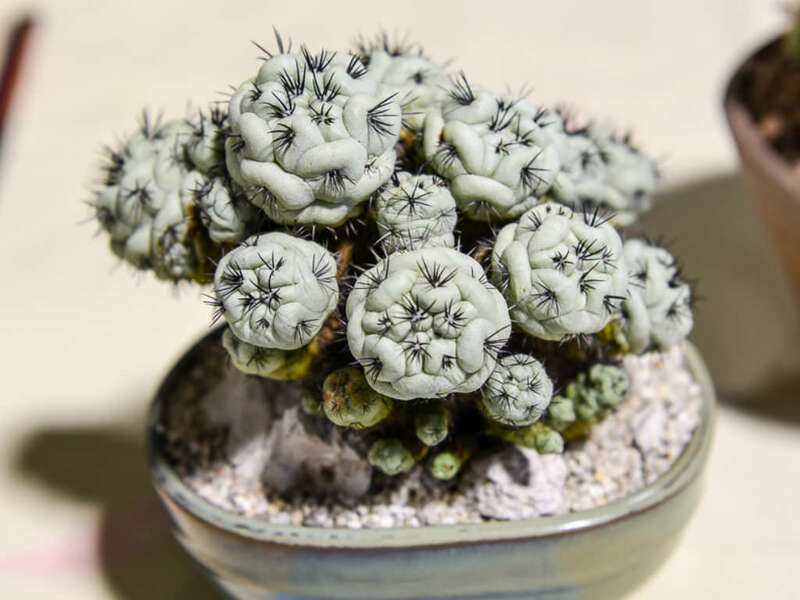 The stem is greenish-gray in color and up to 1.6 inches (4 cm) in diameter. Tubercles are rhomboid, arranged in spiral and up to 0.4 inch (1 cm) in diameter. 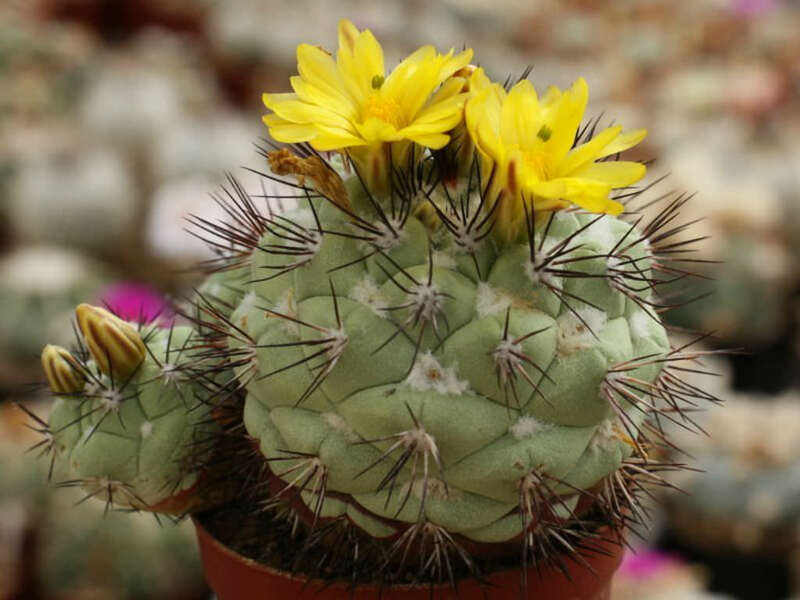 Spines are black or whitish with a black tip. One central spine is up to 0.2 inch (0.5 cm) long and 7 to 8 radial spines are up to 0.4 inch (1 cm) long. 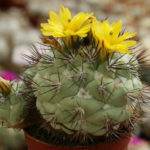 Flowers are yellow, funnel-shaped, up to 1.2 inches (3 cm) long and in diameter. Fruit is reddish, globular, slightly extendended and up to 0.2 inch (0.5 cm) in diameter. 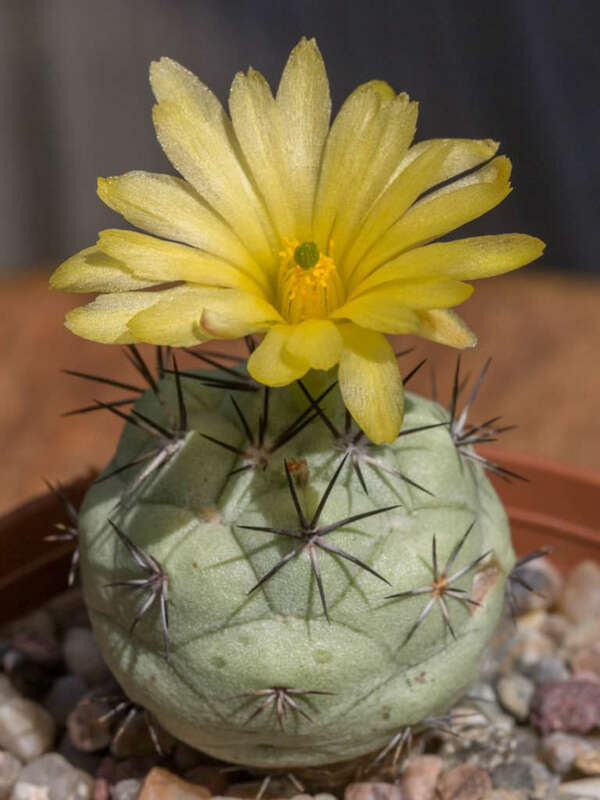 Like so many of the small species of Mexican cacti, Ortegocactus is highly prized by collectors. 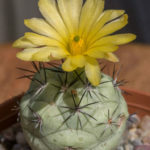 Ortegocactus macdougallii likes light shade to full sun. It is often grafted since it is tricky to grow when on its own roots. Water moderately in summer and very carefully if at all in winter. It show a distinct intolerance to over watering either by rotting off, or by bursting of the epidermis. 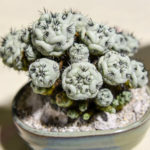 Grow Ortegocactus in a fast draining mineral mix. To prevent growing a monster totally out of proportion to their attractive and natural form, you should limit the fertilizer.